Capital investment is crucial to a company’s growth, but a foundation of strong corporate leadership and confidence in market sector is equally important. Sustainable growth depends upon experienced executive management, engaged and knowledgeable board leadership, and a brilliant market strategy. Without steady, talented corporate leadership and a strategic understanding of the vertical marketplace, companies will struggle to attract investment capital and may fail before they achieve sustainable growth. Bluewater International selects it’s partners in order to take their business to the next level of growth by filling key leadership roles and providing the human capital needed to expand as a high-growth business. We work with clients to develop their company through the investment and high growth phase and beyond. Bluewater offers high-level leadership decisions cultivate executive talent, and oversee product development and go-to-market strategy. We provide all the benefits of a seasoned, successful executive boardroom without the costly fees. Our broad experience in cybersecurity, technology, risk management, security and financial sectors allows us to see the big picture and how our portfolio companies can contribute to the market. Bluewater offers our partners high-level boardroom leadership and executive talent that is usually only available to much larger companies. We look for companies with strong ideas and the willingness, if not the resources, to transform the market with their products and services. We often discover new or unrealized opportunities for our portfolio companies, and work alongside them to build out the product into market-based solutions that bring real value to the world. Bluewater International works with companies that are motivated to solve society’s greatest technological and security challenges with innovative solutions. Companies that succeed in providing solutions to these issues provide a win-win-win for investors, the company and society as a whole. Our partner companies lead their industry in combating societal threats to cybersecurity, financial security, technological systems and electronic health records (EHRs). Businesses that aspire to combat the threats society faces, in addition to making profit are able to self-generate the resources to bring meaningful solutions to large-scale public challenges. Analyzing security risks and market needs, Bluewater works with companies who have the most practical solutions for safeguarding the future in an age when technological threats abound. Mission-driven businesses are steadily gaining popularity as venture capital and commercial investors around the globe see the value of focusing attention on the positive societal impact as well as the financial success of their companies and portfolios. Done with care, building companies for the good of society has the potential to resolve some of our greatest challenges. Bluewater’s client selection process is driven by multiple factors; scalability, talent, personality and informed by analysis of market need and value potential. Our mission has led us to cybersecurity, financial security and technological information risks through building strong companies capable of delivering innovative, high quality technological solutions to corporate, government organizations. Cybersecurity — Bluewater’s partner companies have been on the cusp of cybersecurity solutions, providing innovative technological solutions, regulation compliance services, and process security to corporations, government organizations and public groups. Healthcare Information Security — The advent and mandated use of digital health records has improved efficiency of care, but opened extremely sensitive personal information to hackers and identity thieves. 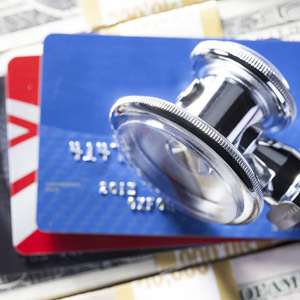 Unlike with stolen credit cards, stolen medical identities cannot be canceled or replaced. Bluewater has aided some of the first companies to provide medical identity monitoring and tracking services. 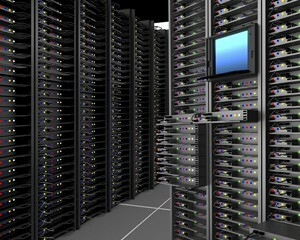 Insider Risk — Security of information is requires more than technological solutions. Some of the most damaging data leaks of the past decade have come from privileged users. Operational and access processes are necessary to protect against malicious acts of personnel, and Bluewater continues to work with companies providing improved solutions to monitor and defend proprietary information.